Some states have already slapped taxes on blueberries, illegal drugs and fur clothing. But as budget shortfalls grow, state legislators are looking for even more creative ways to earn revenue. 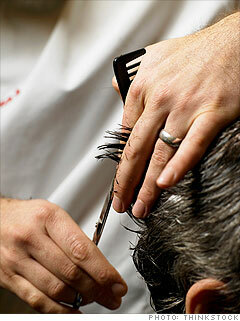 Your next trip to the barber could trim a little more than usual from your paycheck, depending on where you live. In an attempt to balance their budgets, Michigan and Nebraska are considering making you take a haircut by extending the state sales tax to include personal grooming services. "These states are expanding the services they're taxing, and a haircut is considered personal grooming and can be seen as a luxury item," said Kim Rueben, a senior fellow at the Urban Institute. "And while you might not think a haircut is a luxury item, you could always do it cheaper or at home." While the Nebraska state Legislature has adjourned for the year, it could be revived next year, according to Gerry Oligmueller, state budget administrator of Nebraska.